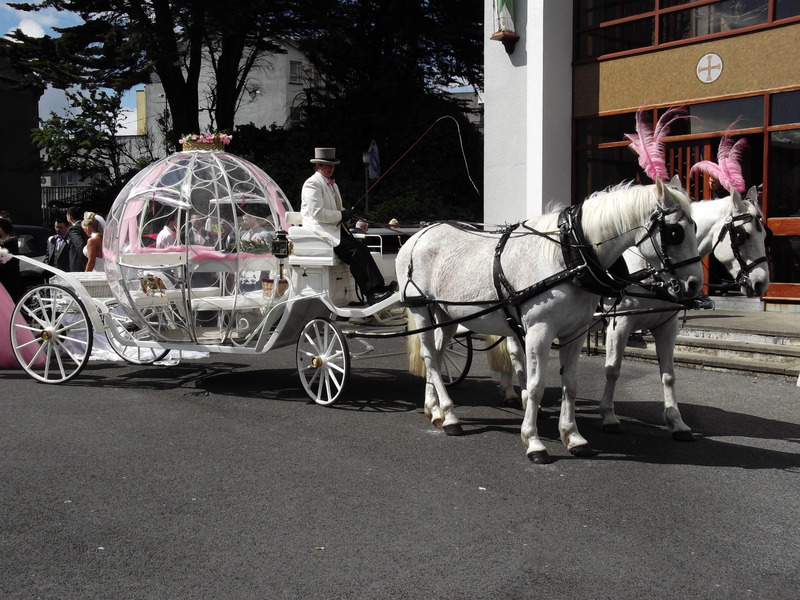 At a recent wedding in Galway, the bride chose the white pumpkin with white leather seats, cd player and gold crown on top . It was pulled by Tara and Carl complete with their pink plumes. The bride said she really enjoyed her drive to the church, in fact we drove around the centre of Galway twice before we drove her into the church. After the service the bride and groom got some lovely pictures taken which they can cherish forever.